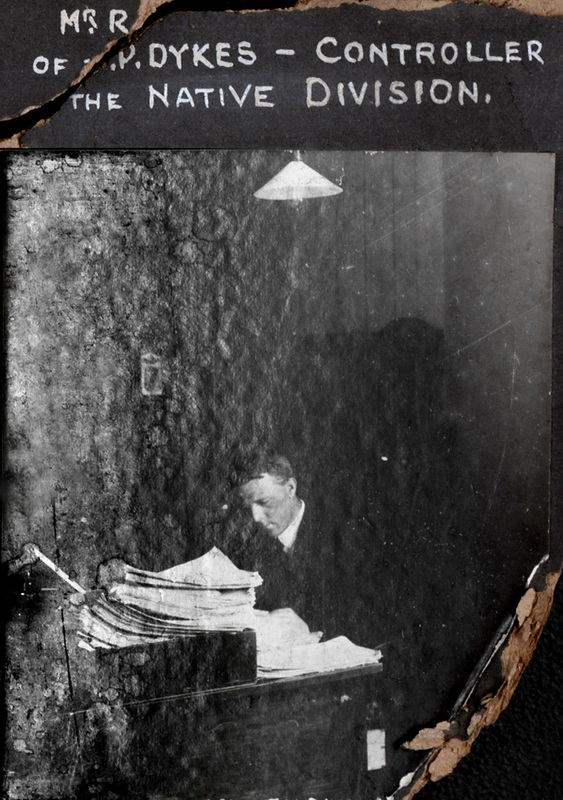 One of a series of photos of offices and workspaces in the Public Trust Office Building taken during the 1920s. Please note that the following images have been digitally altered. 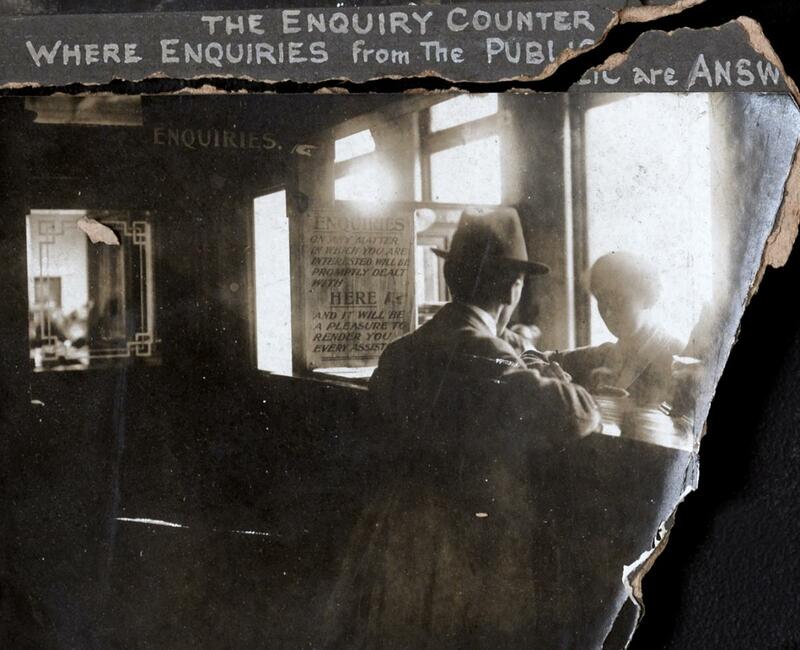 The original images are held by Archives New Zealand, The Department of Internal Affairs Te Tari Taiwhenua. The Mortgage Division, which dealt with all applications for loans. 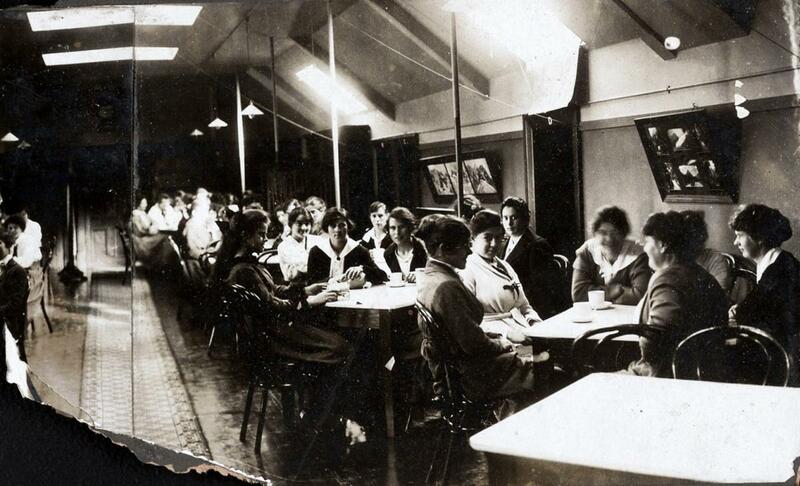 The tea and luncheon room. The Intestate & Mental Patients’ Division. The Soldiers’ Estates & Agencies Division. 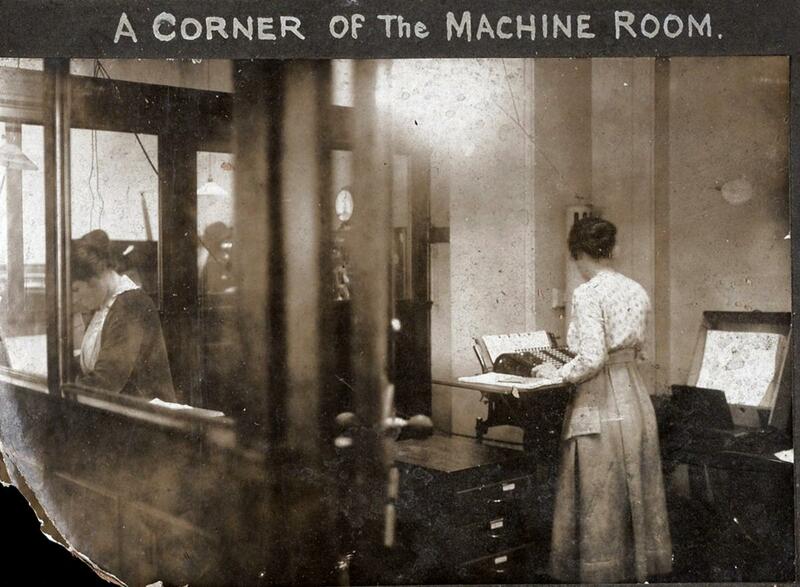 A corner of the machine room, which house calculating machines. 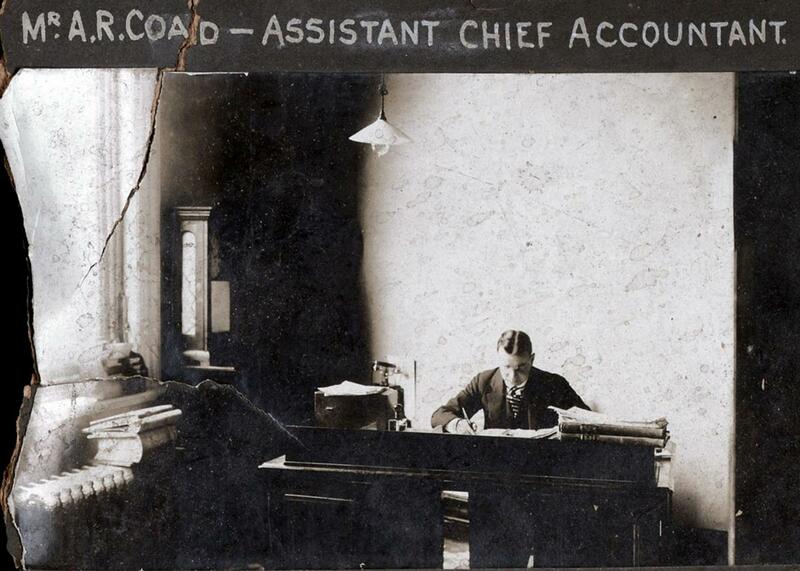 A. R. Coad - Assistant Chief Accountant. R. P. Dykes - Controller of the Native Division. 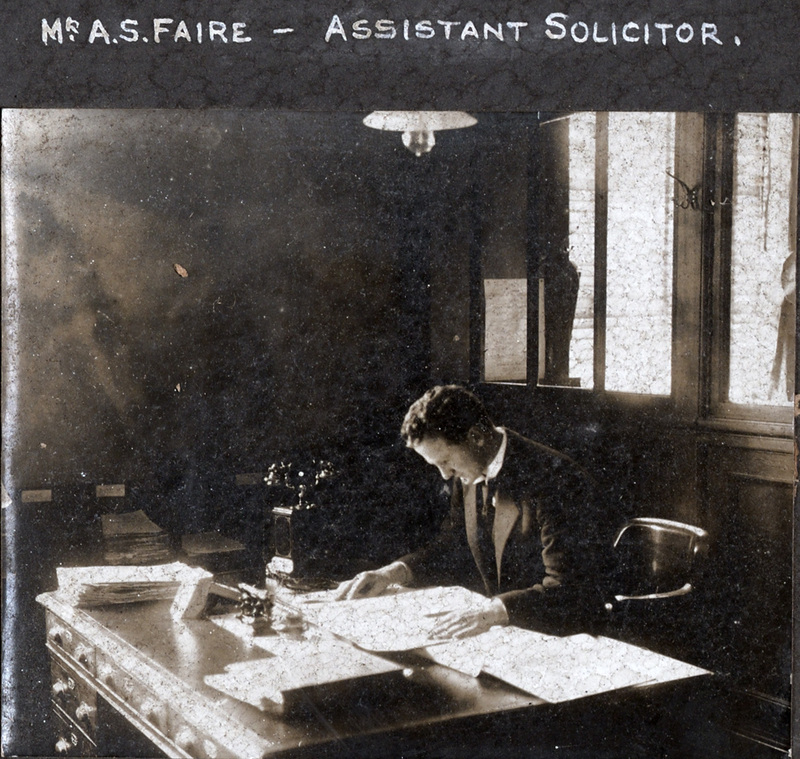 A.S. Faire - Assistant Solicitor. 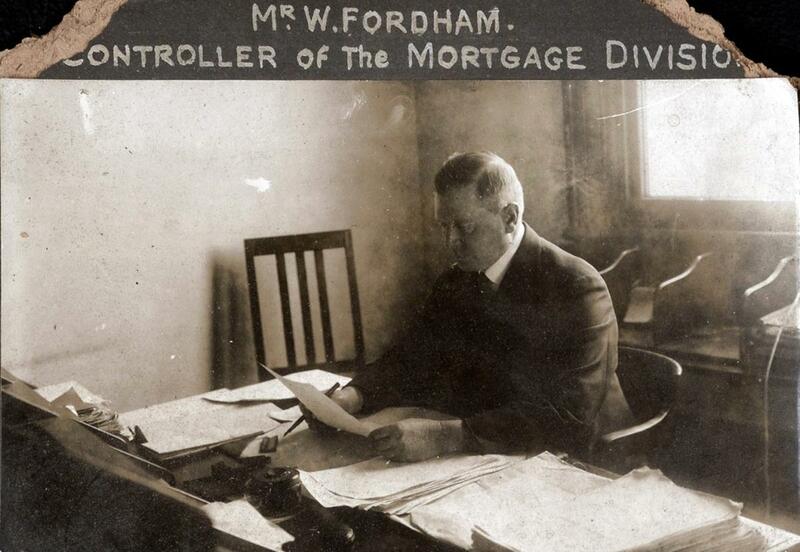 W. Fordham - Controller of the Mortgage Division. 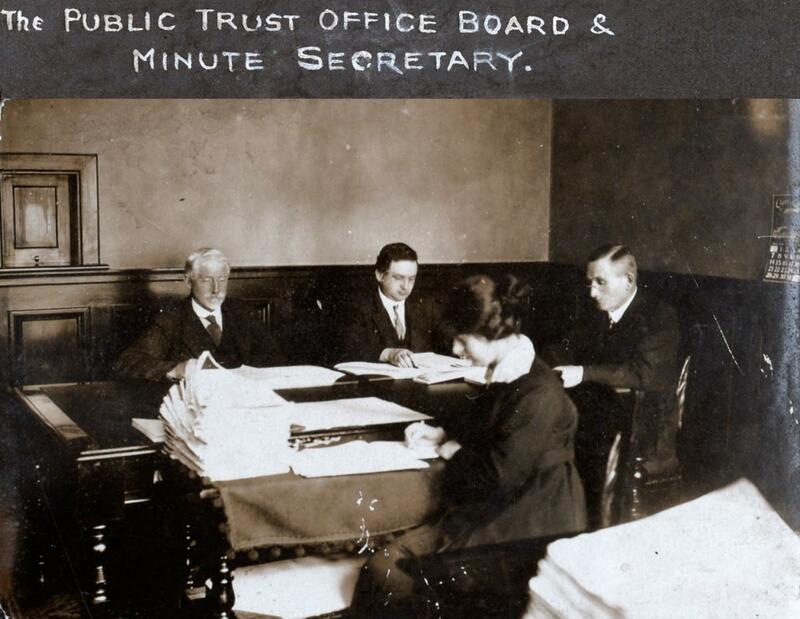 The Public Trust Office Board and the Minute Secretary. 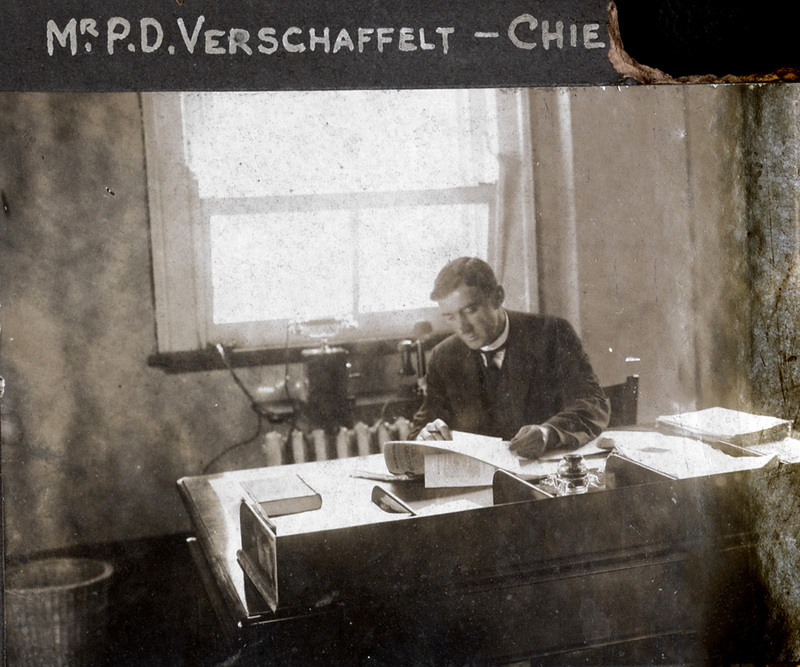 Chief Accountant P. D. Verschaffelt - later became Public Service Commissioner. 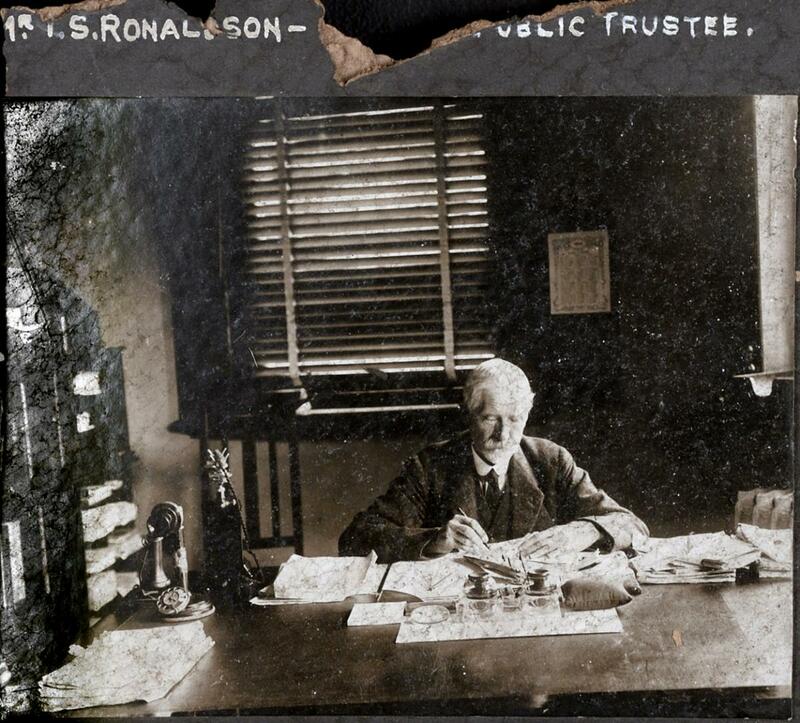 T. S. Ronaldson - the Assistant Public Trustee. 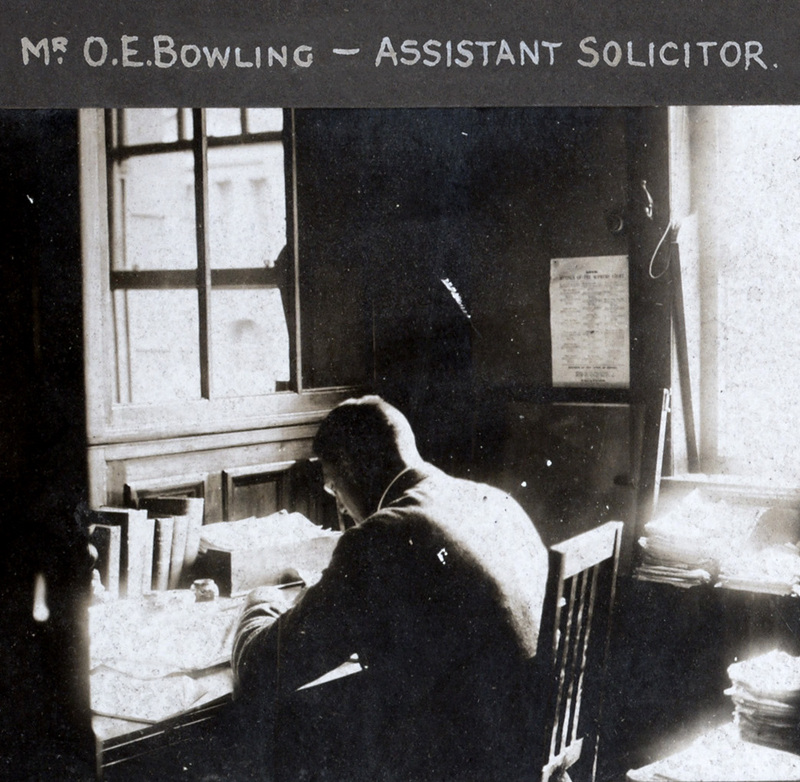 G. Rose - Office Solicitor. 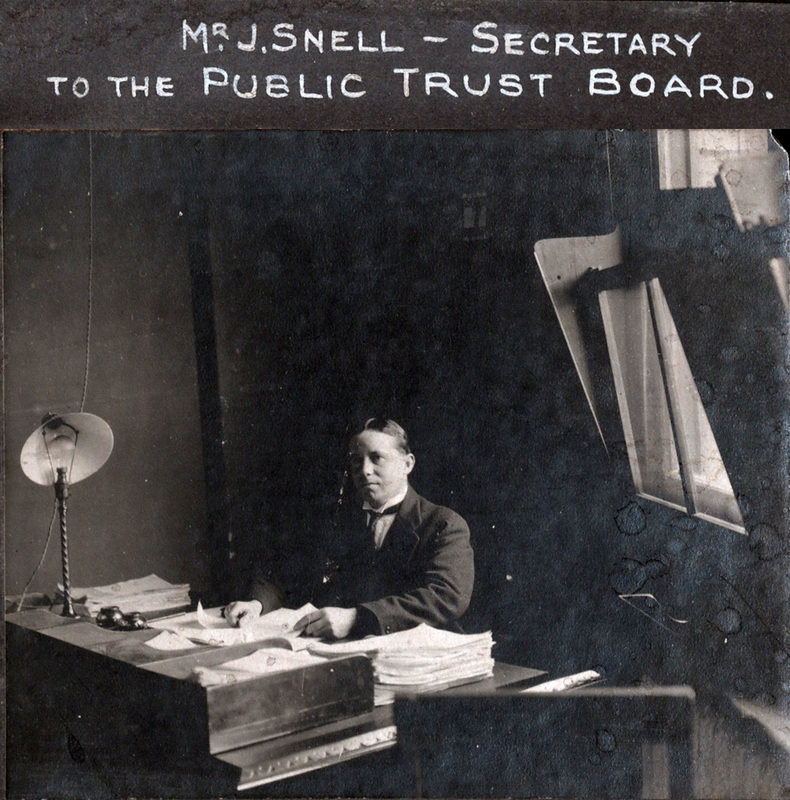 J. Snell - Secretary to the Public Trust Board. 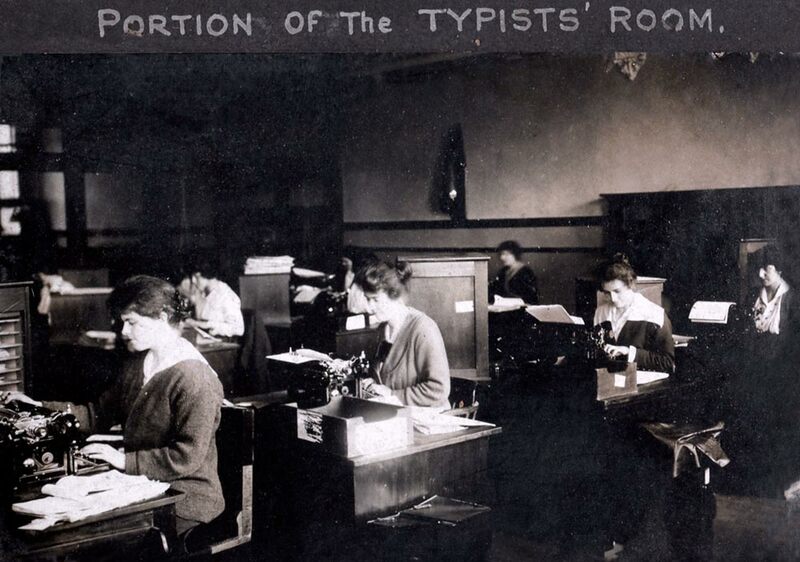 Part of the typists' room. 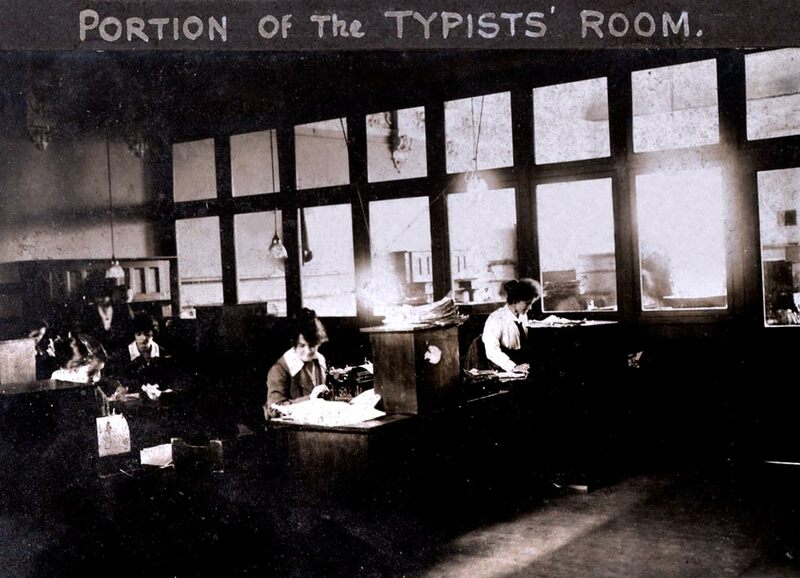 Another view of the typists' room. AADV W5534 24782 149, [Photo] Public Trust Head Office. Early 1920s. Wellington [In fragments] Archives New Zealand - Te Rua Mahara o te Kawanatanga.